Gray, beige and cream colored granite countertops and white cabinets work beautifully together. The combination is elegant and the possible accent colors are endless. Granites with bright colors offer a clean look and the various colors of the flecks or veins add a unique character. They’re often recommended for smaller kitchens. Darker granites with lighter mineral specks are an immediate eye-catcher and create a modern look. Dark granite countertops and white kitchen cabinets are a classic combination. Imported from India, this granite has a light cream colored background with brown speckling, and gold, orange, and gray veins. Atlantis provides an amazing focal point, especially as part of a neutral color scheme and the varying colors throughout the slab can be used to select hardware and other accents in the kitchen. Pairing Tips: Stainless steel appliances, hardwood floors, and a beige or white backsplash. Bianco Romano granite is another example of a complementing type of granite, and it perfectly accentuates a Tuscan themed kitchen. Quarried in several areas across Brazil, Bianco Romano granite has a pristine nature many homeowners find attractive. This predominantly white stone is intertwined with mineral veins that are gray and usually thin. The shades of gray can vary from between exceptionally light to a dark blue-gray color in certain places. What makes Bianco Romano granite exceptional are the occasional deep crimson spots which are seldom larger than a raindrop, found randomly throughout the stone. Pairing tip: Bianco Romano countertops really stand out against an all-white background. 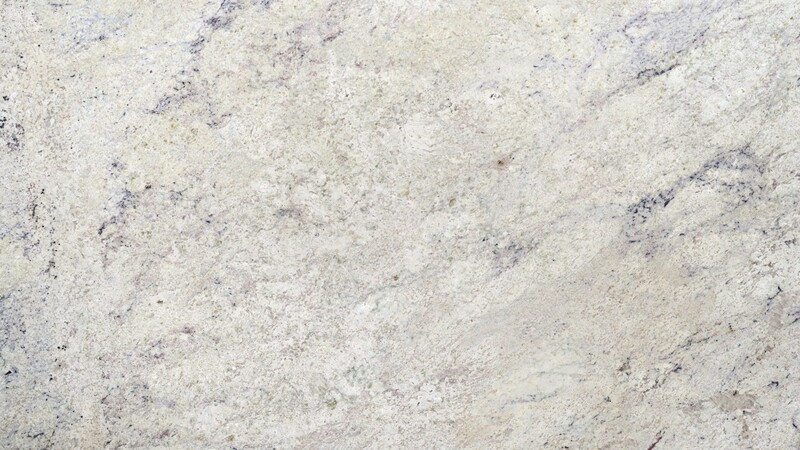 Ilhabella granite is the sophisticated choice for a countertop that complements white cabinets well. Light gray in color with black veining and black speckles scattered consistently throughout the stone. 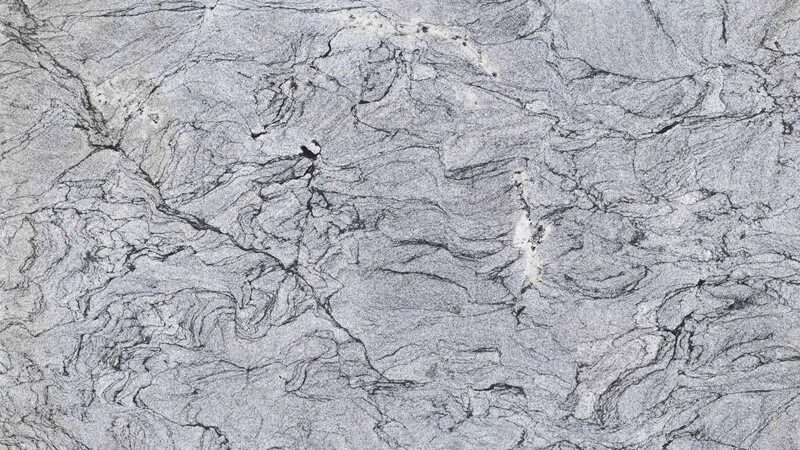 Similar to marble in appearance Ilhabela granite is one of the most popular choices for a countertop. Quarried in Brazil and the Fujian Province of China, it’s one of the densest granites and has a great visual appeal. The variety of colors and shades allow homeowners to add accents based on either the basic color or the shades and hues. Pairing tips: Elegant light fixtures and a light colored backsplash using a contrasting material. Butterfly Green granite is a superior choice for a contrasting countertop. Imported from Brazil, Butterfly Green granite adds a sophisticated element to any kitchen, featuring a consistent jade green stone with an exquisite blend of greens, whites, and grays, accentuated with flecks of amber and dark black veins. Pairing Tips: Looks best with stainless appliances and both light or dark backsplashes. 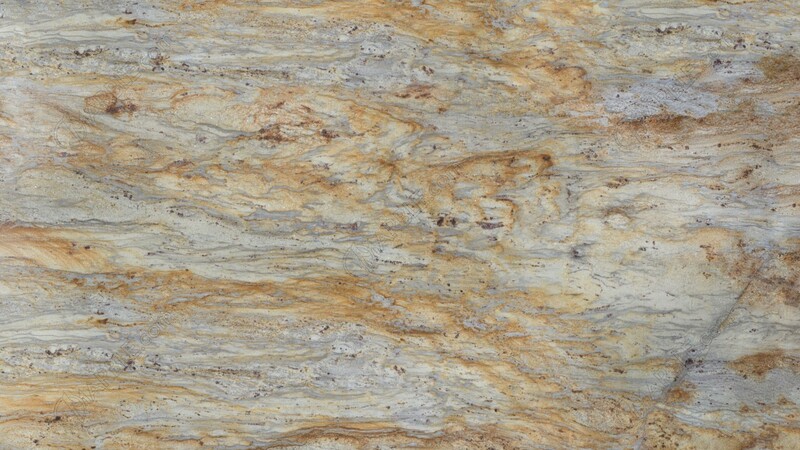 Giallo Napole granite is another popular choice for pairing with white cabinets. Imported from Brazil, Giallo Napole granite offers consistent light gold and off-white highlights along with light burgundy flecks. Because of the stones dark areas, dark brown or black accents are a viable option that, when combined with natural lighting, won’t make the room appear smaller. Pairing Tips: Hardwood floors and a light backsplash. Finally, it’s important to remember that each piece of granite is unique, so the color of the background and the veining can vary. A final decision should be made only after seeing the granite in person.